Let's assume you have a loaded high data bundle and what you are using on your Desktop PC/Laptop is modem/broadband connection and now you want to share your internet connection with your friends and family. The question now become, how can you carry out the sharing to all at same time without using bogus apps which will in turn consume your RAM? The answer to that is UC browser. UC Browser has a wonderful embedded feature that is called Virtual WiFi. This very Virtual WiFi comes with option that enables users to turn their pc/laptop into a hotspot machine whereby users can then share their internet connection with other device which has WiFi. For you to enjoy this feature, all you need to do, is to Download the latest version of PC UC Browser from HERE. after that, install it. Now when you are through with the installation, just make sure you are connected to the internet. 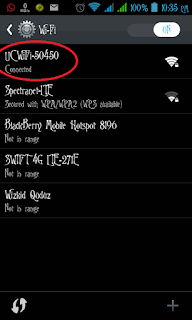 Then From the menu bar, you will see a Hotspot icon just exactly like the below provided image. Next, click on that Hotspot icon and hit the ON button. Now you have to wait for it to turn green just like the below shot. once that has been done, Bravo! have it that your internet connection has been shared and any nearby device may be from family and friends can now connect to your PC by switching on their WiFi as well. How do I lock or assign password to it? As all may ask, everyone requires security in everything, which is not a bad idea. So to protect the hotspot with password or code is not a much deal. 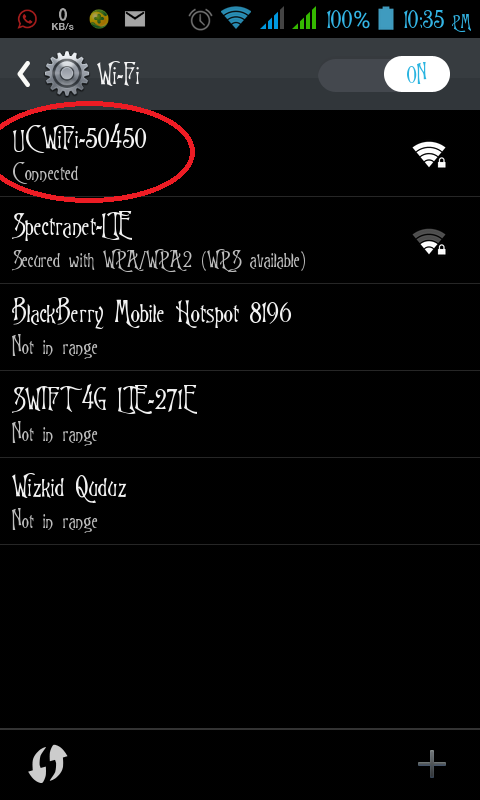 Once you click on the hotspot icon, the hotspot gives you password automatically which can then be changed at the settings tab of the Virtual WiFi. That's all for that, now go ahead and enjoy sharing your data connection with friends and family members.